Checked the heating element and found a break in the heating coil. Decided to change the thermal fuse and the the cycling thermostat because of the age of the dryer. According to multiple sources on the internet, there are two fuses that commonly cause this problem. I checked the continuity of both and found my thermal fuse had gone out. Replacing was as simple as opening the back of the dryer and unplugging the old fuse and plugging the new one in (this was disconnected from wall power obviously). Dryer ran but did not dry clothing. Best site I have ever used for repairs. First a list of what parts were needed was provided right from the start, no guessing. I followed all of the video's provided for installation instructions and and that was it. Very easy to make repairs and almost rebuilt my dated dryer to like new condition. Appliance was in very good physical condition just needed new components to bring it back. Highly recommend this site to anyone who can turn a wrench. Took electrical leads off by using flat blade screw driver to push them off the post. Locate thermal fuse. Mine was on the lower part of the exhaust. Remove screw. Disconnect the two wires on the bad thermal fuse. Pop the new thermal fuse in its place. Connect the wires back up and screw into place. Put the back of the dryer back on. Should take you less than one beer to accomplish. Remove back cover. Switch out parts (both plug in and affixed by screws) and test. Put back cover on. My dryer wouldn't start when I pushed the start button. Step one: turn the circuit breaker to the dryer off at the electrical box and tape over the breaker switch to prevent power from accidentally being turned back on while you work on the dryer. Step two: unplug the dryer from the electrical outlet and disengage the exhaust however from the dryer exhaust. Step three: using a 1/4" nut driver, remove the nine screws that hold the back cover to the dryer body and remove the cover and set it aside. Step four: locate the fuse next to the blower, (near the exhaust), and disconnect the two wires leading to it, keeping in mind which wire goes to the top post and which one goes to the bottom post. 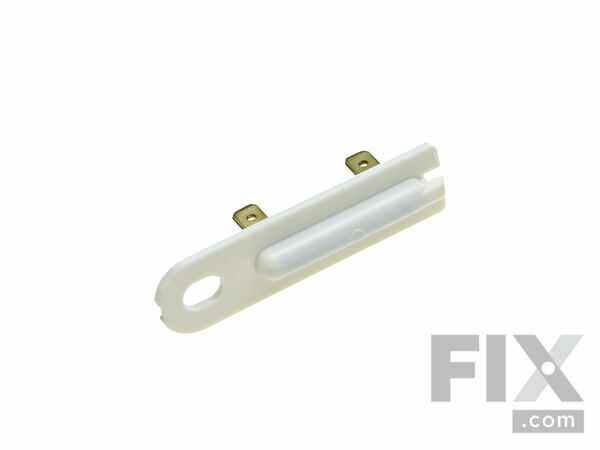 Step five: remove the screw that holds the fuse in place and remove the fuse. 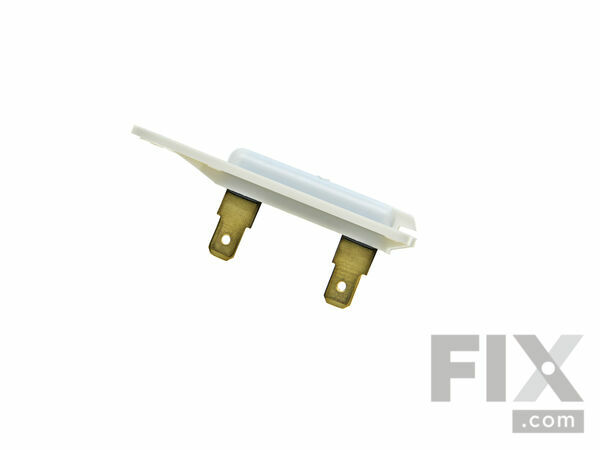 Step six: place the new fuse with the ridge side toward the dryer into the slot provided in the dryer body. Secure with the screw you removed earlier. Step seven: reconnect the wires to the fuse. Step eight: place the back cover on to the dryer body and secure it with the nine screws. Step nine: reconnect the exhaust however to the dryer exhaust and plug the power cord back into the electrical outlet. Step ten: turn the circuit breaker back on at the electrical box. You should now be ready to dry some clothes. Congratulations! Dryer was not hot enought. First I replace 19 feet of vent under the house that was clogged with lent. 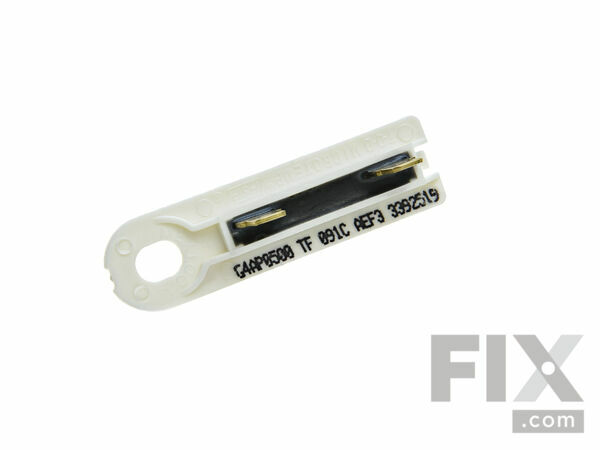 The next thing was to repair the least expensive part and that was to repace the fuse. Very easy but still not HOT enought. Next I ordered the heating element. I followed instructions on this site and it was very easy.